The manufacturer’s handbook suggests when you should take the vehicle in to have its oil replaced. Most dealers and auto body shops use stickers that are dated to help you keep track of your next scheduled appointment. Once you’ve driven a certain number of miles, do the right thing and have the oil changed. Take everything out of your vehicle that doesn’t need to be in there long-term. Doing so helps your tires get better traction and prevents you from wearing out the auto too quickly. If your trunk serves as a mini storage unit for your stuff, do yourself a favor and put it somewhere else. A hermetic circuit board sealer can be used to prevent future electrical problems from occurring. It’s a fix that many people don’t think about but could have done to their vehicles as a way to increase the auto’s longevity. Instead, take the vehicle in and have it diagnosed. Occasionally a large problem can be averted with quick thinking and action. You won’t spend a fortune having a costly repair done because you were smart enough to take care of the issue before it worsened. Getting to know the manufacturer’s recommendations for care is ideal because it prevents you from destroying your car by operating or servicing it improperly. You’ll learn to look for warning signs suggesting that your vehicle needs a part repaired or replaced. 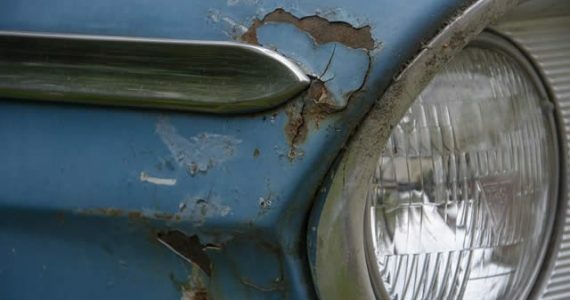 You won’t drive it into the ground before it’s even had a chance to age. Increase your car’s lifespan quickly and easily by following the tips listed above. Not only will it decrease the amount of wear and tear your vehicle receives, it also saves you time and money in the long run. You won’t be forced to make costly repairs to revive a dying car nor will you be out the hours it takes to arrange for alternate transportation or to fill out an application for financing on a new auto. There’s nothing worse than hopping in your car to go someplace fun (or to work, I guess) only to turn the key and discover that it won’t start. Even worse, you could be on the road and suddenly see smoke pouring from the hood. Car problems are inevitable, but you can prevent unexpected disasters and huge repair bills by catching problems early. Below, read about four signs that you could be on your way to a major car problem. Cars make a lot of noises, but if you notice that your engine is revving more than usual, that could be a sign that your clutch is slipping. You might also notice the tachometer accelerating faster than the speedometer. If your clutch is slipping, it’s likely that it is too worn out to engage properly. If you let this problem go on for too long, you could burn out your flywheel, which will mean a heftier mechanic bill. It’s best to have your clutch serviced or gearbox repaired at a professional shop. It’s always a good idea to have a basic understanding of how far your car can go on a full tank of gas. If you find yourself filling up more frequently, it could be a problem with your compression stroke. One simple fix for this is using a fuel cleaner from any parts store. You could also have your fuel system serviced by a mechanic. If you’re driving slowly and the headlights and dashboard lights get noticeably dimmer, that could be a sign of an electrical problem. The battery, alternator, or voltage regulator could be the culprit. Many auto parts stores can check your battery, but for alternator or voltage regulator issues, you’ll need to have the problem diagnosed by a mechanic. If you drive regularly, you should get a feel for how your brakes usually act. If you notice vibrating when you push down on the pedal, you could have a problem. There are a few possible causes: worn or damaged brake pads, bad brake discs, poor alignment, or worn suspension components. You should check each of these for issues. If not fixed, brake vibrations can lead to significant rotor issues down the line. Even if you aren’t particularly car-savvy, you should be aware of basic car maintenance. 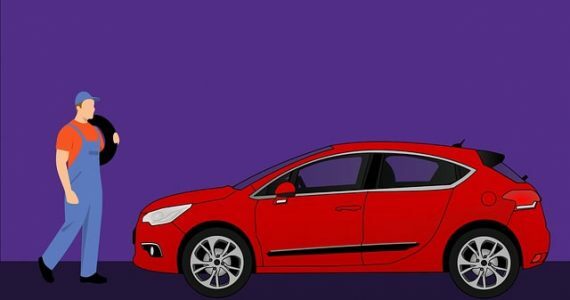 Keep an eye out for these four problems, and you’re on your way to being a responsible car owner! The summer is coming, and it is going to be hot. You have been waiting for the warm weather for months now. You cannot wait to get out and have loads of fun with your friends. Before you can truly enjoy your summer, your car is going to need some much needed maintenance attention from you. Here are five things you can do for your car to make summer easier on your ride. The temperature is getting warm for the summer. This transition can cause the fluids in your car to evaporate. 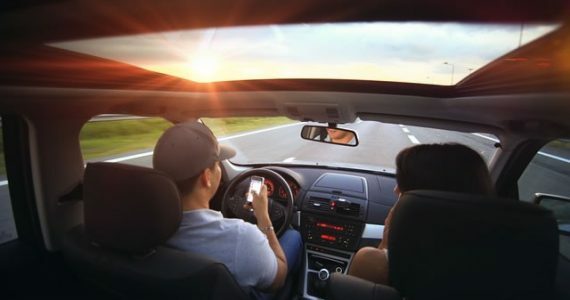 By checking and topping off your car’s fluids, such as your transmission fluid, power steering fluid, coolant and windshield wiper fluid, you could be preventing performance problems with your car from giving you a headache this summer. To keep your engine running smoothly, your car needs to have clean oil on a regularly scheduled basis. The summer is no exception—especially when it comes to preparing your car for the long, cross country family trip. If your engine has been sounding like it is working a little harder than usual, this could be a sign that your car’s oil change is long overdue. As you are heading into the hot summer weather, this is the opportune time to give your engine and the engine bay of your car a much needed cleaning. Oil and dirt build up in these areas of your car can cause your engine to run hot. This is not good for your engine in the summer heat. 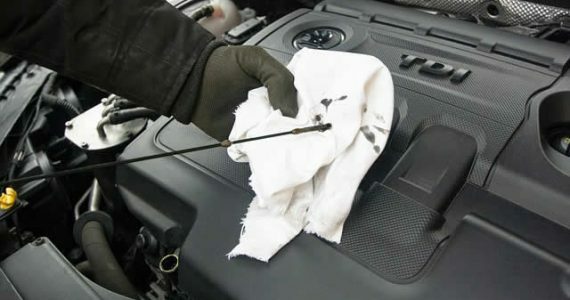 By getting the dirt, oil and grime off of your engine and other areas of your engine bay, you will make it easier for your engine to remain cooler so it can perform better. The sun will be beating down on your car this summer, and the excess heat can cause your paint job to fade. By using a slip over cover for your car, this can do a lot to keep direct sunlight off the surface of your car and protect your paint job in the process. Looking for metal carports for sale is another way to acquire a cover that can help to keep sunlight from constantly heating up your car and damaging the paint in the summer months. When your tire pressure is off, this can cause everything from uneven wearing of your tires to a blow out that leaves you stranded on the side of the road. It is generally cheap to get a tire pressure gauge to keep around to test your tire pressure from time to time. Be sure to check your car manual to know what your car’s manufacturer recommends as the best tire pressure to rate your tires for when making this check. You want your car to perform reliably for you during the summer months. As a responsible car owner, you will need to take the initiative to keep your car in good working order. By doing so, you will help to ensure that you will not be left stranded on the side of the road.